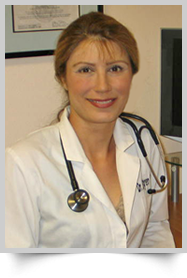 Originally hailing from Sweden, Dr. Ekengren has made Los Angeles her home. After graduating from Cleveland Chiropractic College in Los Angeles in 1998 with the degree of Doctor of Chiropractic she completed the six National Boards including the physiotherapy and then after getting her license she completed the license of X-ray Supervisor and Operator. Dr. Ekengren started to work in a few offices to get experience and in 2000 started her own practice in Canyon Country. The practice grew to the point that she opened up her own office. Since starting in practice Dr. Ekengren has received several awards of excellence. Dr. Ekengren specializes in 10 different techniques that will fit all ages from children to adults to geriatrics. She has gentle techniques for the patients that do not like “cracking ” and as the same time can do the traditional Chiropractic techniques. She is one of the few Chiropractors (there are only 1000 doctors out of 65,000 practicing this technique) that specialize in Cox Flexion-Distraction technique for symptoms such as sciatica and radicular pain with state-of-the-art equipment which supports these techniques, which is very important. She uses these techniques together with an in-house high frequency laser based X-ray machine which minimizes the radiation exposure and an in-house laboratory. The adjusting tables that Dr. Ekengren uses are the latest available with features such as table assisted speed and extra thick cushions to help the patients avoid soreness and to always make sure the adjustment goes through–which is not always the case with traditional techniques. Dr. Ekengren also continues to take graduate courses to stay on top of new research coming out every year to make sure she can provide the best treatments possible for her patients. When a patient comes to her and puts their health and trust of not only themselves but their families in her care it is an honor and responsibility that Dr. Ekengren takes very serious. She only wants the very best for her patients and their families.